Place turkey, onion, red bell pepper and three to four shakes of worcestershire sauce in a pan and sauté until meat is no longer pink inside. Add diced tomatoes, tomato paste and beans (juice included) and stir until well combined. Cook for 1 to 2 hours (the longer you cook it, the more flavor it will have). 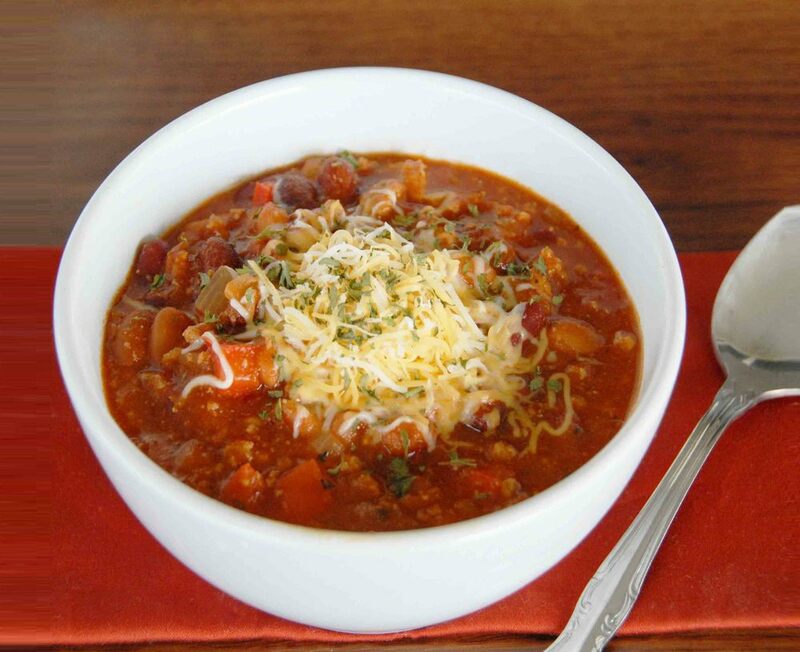 Take care to watch the sauce level on your chili if you cook it longer than one hour. If the sauce is getting low, add 1/2 cup water as needed.